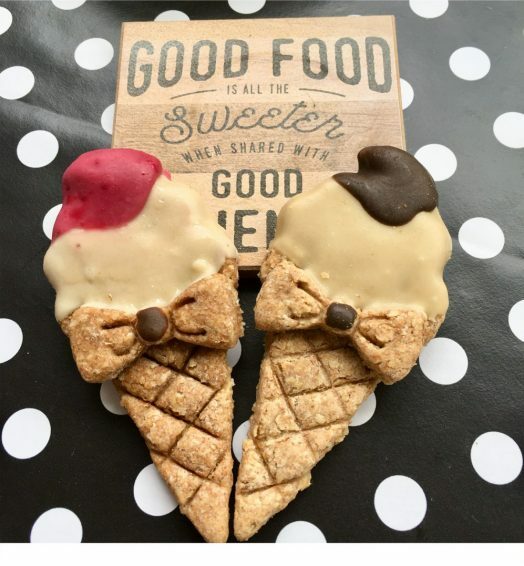 Fresh breath and a happy smile!! 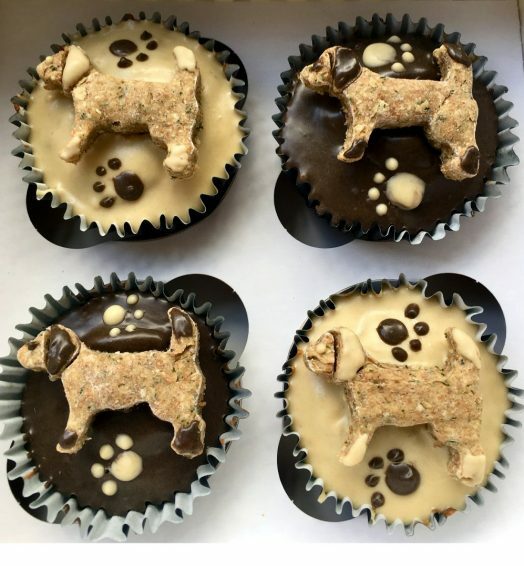 Your dog will love it’s own bar of exceptionally tasty dog friendly chocolate. One bar of Ruffles Chocolate bar includes 8 chunks of peppermint dog friendly chocolate. 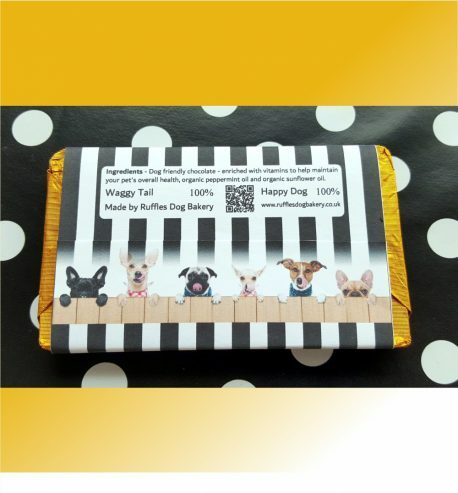 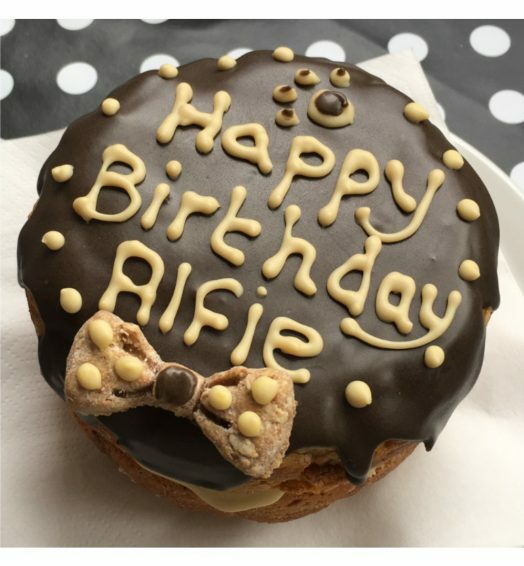 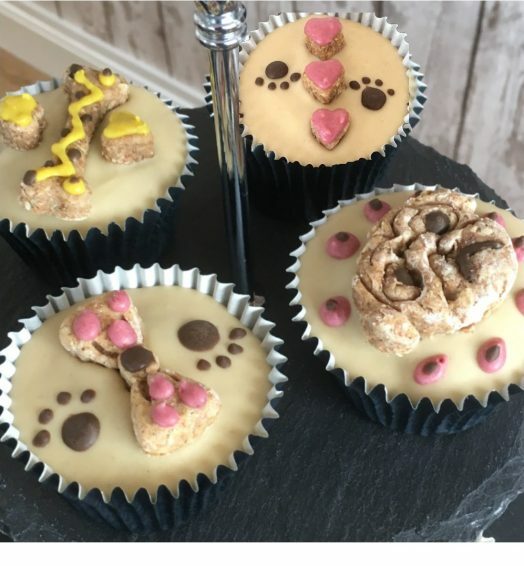 The chocolate bar wrapper can be personalised to include a dog’s name, making it a lovely doggy birthday or gotcha day gift. 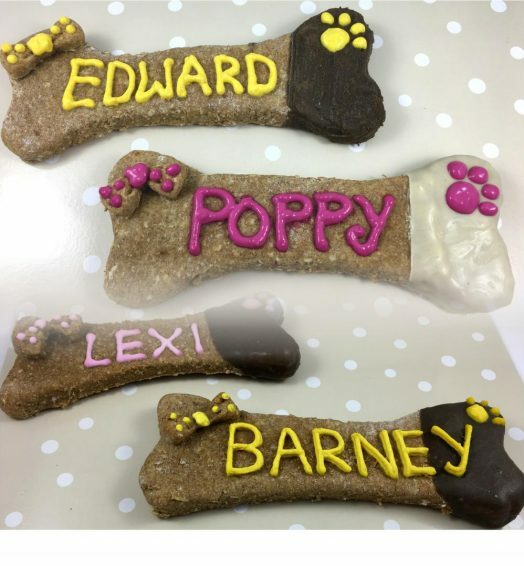 *Important* – For Personalised Wrapper please input your dogs name in ‘Order Notes’ at the Checkout stage. 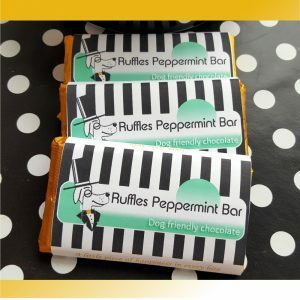 Ruffles Peppermint Dog Chocolate Bar is made with Dog friendly carob chocolate that is enriched with vitamins to help maintain your dog’s overall health, organic peppermint oil and organic sunflower oil. 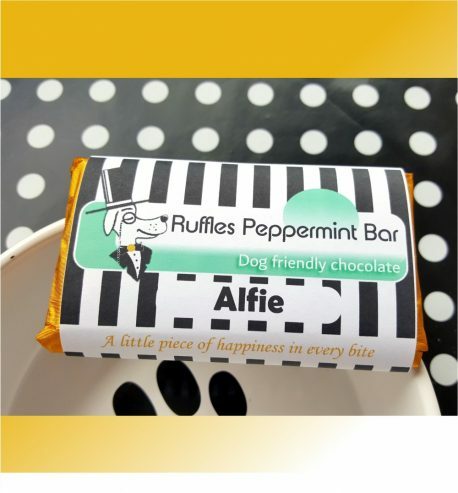 My dog adores this peppermint chocolate bar, it tastes like a hoomans After Eight Mint Chocolate….